Discover the awe-inspiring world of Norway as you cruise aboard the new Iona. Cruising from Southampton, Iona‘s 7 night cruises give you the opportunity to visit Stavanger, Olden, Bergen and the magical Norwegian Fjords. 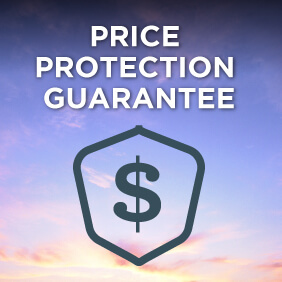 View all Iona cruises, view a selection of P&O UK cruise deals, or view more options for P&O cruises UK. The Norwegian fjords are a wild wonderland of breathtaking scenery, cultural gems and action-packed adventure. This dramatic destination is on many travellers’ must-visit lists, and for good reason – once you’ve visited the fjords, you’ll never forget them.\n\nIona begins her inaugural season in this incredible region. With departures throughout the spring and summer of 2020, you’ll have even more opportunities to explore one of the world’s most iconic destinations. The Grand Atrium is the beating heart of Iona; a lively signature space that encapsulates the spirit of the ship. The architecturally impressive space sits on decks 6, 7 and 8 and boasts a contemporary design that brings in uninterrupted panoramic sea views and natural light. As one of four primary entertainment spaces on board, the Grand Atrium offers lots to see and do around the clock. By day, it’s a place to meet, dine, relax, be entertained or simply watch the world go by; by night, it’s an immersive destination venue, balancing intimate spaces with larger social areas. The space seamlessly transitions between day and night through lighting and sound. A major new entertainment hub called SkyDome will be one of the star attractions of our new ship. Featuring an impressive roof and a pool with a retractable stage, SkyDome offers a unique space whatever the weather. By day, it is the perfect place for entertainment, relaxation and informal dining. By night, it comes alive with aerial performances and immersive shows. Choice, flexibility and the ability to create your own on-board experiences lie at the heart of our new ship, giving you the chance to rest and play your way. Our new ship has been designed by the world’s leading design and guest experience teams to make sure you have a wealth of dining, entertainment, socialising and relaxation options to make your holiday extra special. And rest assured, our P&O Cruises DNA will still shine through. You’ll be treated to the best British hospitality and standards of service that you know and love. 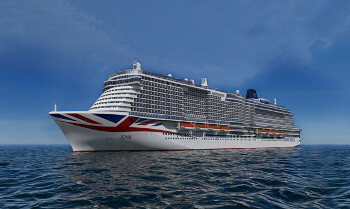 The ship will be the most environmentally efficient ship in the history of P&O Cruises. Powered at sea and in port by liquefied natural gas, exhaust emissions will be significantly reduced to help protect the environment. This makes it the largest cruise ship ever built for the British market. 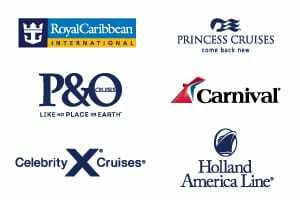 P&O Cruises has partnered with some of the world’s leading hospitality, interior design, maritime and architectural experts, as well as leading cruise ship designers and builders, to create unrivalled experiences and levels of luxury on board. Travelling with the family is an exciting adventure, and we know how important it is to keep children happy around the clock when on holiday. As a family-friendly ship, Iona offers a safe, fun and welcoming environment for children of all ages, from toddlers to teens. The Reef is our free on-board activity programme for children; a place to keep them safe and entertained throughout the day and evening, and to give them the chance to forge friendships with other children their own age. Staffed by a crew of enthusiastic and qualified Reef rangers, it offers clubs with a wide range of age-specific entertainment. Scene is a secret on-board hang-out for teens aged 13 to 17. Located on deck 6, it’s separated from the rest of the children’s club, giving teens a chance to have their own space and allowing them to dip in and out of planned events.\n\nScene operates during high peak cruising season. In the low season, it becomes an entertainment space for adults. Day to night, there’s never a dull moment on Iona. From film to full-scale production shows, live music to impromptu aerial acrobatics, our new ship offers entertainment to suit any and every mood. It’s all about the music at The 710 Club. Located on deck 6, it’s a secret haven – exclusively for adults – in which to relax and enjoy the musical atmosphere, day or night. A major new entertainment venue called SkyDome will be one of Iona’s star attractions. Set on decks 16 and 17 and featuring an impressive roof and a pool with a retractable stage, it offers a unique space whatever the weather and the time of day. Here’s one for the film buffs: Ocean Studios on deck 6 offers a warm welcome, comfortable seating and a relaxing environment in which to be entertained and enjoy a premium cinema experience. Four cinema screens will show both classics and recent blockbusters in surround sound. The Club House has a non-stop upbeat atmosphere. Located on deck 8, it’s a lively venue that offers a variety of exciting entertainment, day and night. The Limelight Club on deck 6 is a feast for the senses, with fantastic food, great company and top-notch entertainment. The venue showcases established and emerging entertainers and is the dedicated space for resident performers, all accompanied by a gregarious compere and Iona’s house band. Exclusively for adults, it’s also a hotspot for dancing, with daytime classes and hosted dancing events. Headliners Theatre is perfect for a fun-filled night out on board. Classic yet contemporary, it offers a sleek and sophisticated theatre experience. Plush, comfortable seating and the latest LED technology deliver the ‘wow’ factor, while a two-deck-high auditorium on decks 6 and 7 ensures everyone has the best view in the house. Love is in the air in The Ivory Suite. As the primary venue for weddings and renewals of vows, it’s perfect for intimate and mid-sized ceremonies, all tailored to guests’ requests. Choice, flexibility and the ability to create your own on-board experiences lie at the heart of our new ship, giving you the chance to rest and play your way. Our new ship has been designed by the world’s leading design and guest experience teams to make sure you have a wealth of dining, entertainment, socializing and relaxation options to make your holiday extra special. And rest assured, our P&O Cruises DNA will still shine through. You’ll be treated to the best British hospitality and standards of service that you know and love.